I must have bad luck with toilets. In the old house I replaced the internals of 2 and the new house I'm going to need to do it again. The ones with the big float thing seem like they have more issues than the new designs. The first time I swapped it out it took me like an hour. I can hopefully do it in 20 minutes now. 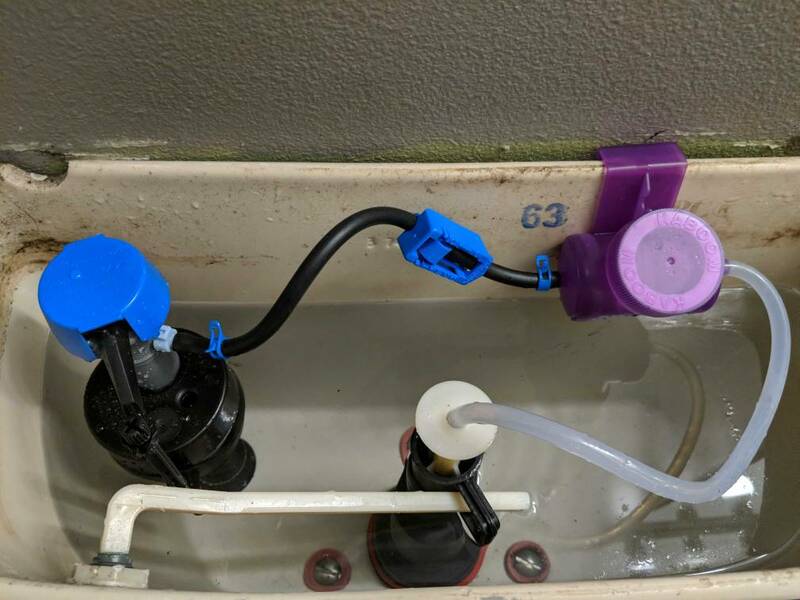 Has anyone else changed out the internals due to running toilet, hard to flush, etc? I did all 3 toilets in my house. They kept letting water run. I bought 2 2 packs and went and did my aunts also which was having troubles. Very fast and easy to do. We only have 2 toilets in our house and the one that runs is the one with the newer internals system. I should probably change out one of ours. The chain sometimes gets stuck under the rubber stopper part and lets a little bit of water continue to run. It's easy enough to just jiggle the handle to make sure it isn't stuck, but would be nice to not have to do that. Peel and stick. No need to take off the tank. We will see how it goes. goldenrod wrote: I did all 3 toilets in my house. They kept letting water run. I bought 2 2 packs and went and did my aunts also which was having troubles. Very fast and easy to do. I replaced our downstairs one recently but not with the fancy new style. bmyoungs wrote: Source of the post I replaced our downstairs one recently but not with the fancy new style. Corey, are you a believer of the toilet bowl cleaners now? Tyler wrote: Corey, are you a believer of the toilet bowl cleaners now? Death by toilet flush system?! 97% of the time I don't notice this. I think I swear by these things. Been in the house over a month now and there has been no grime to scrub at all.